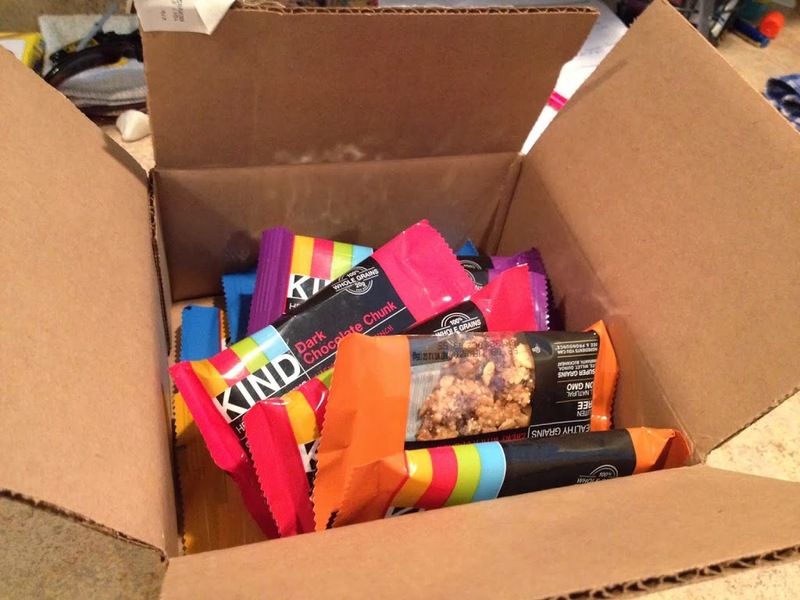 I received complimentary Kind bars for review purposes. All opinions are my own. It has been a long, cold winter, and my go-to coco and cookies was not making the cut for this fit mama. I needed something a little sweet, but was still healthy and gave me the pick-me-up that I needed when the kids were napping, and I still have a million things to get done before dinner. I switched out the coco for green tea, and then I found KIND Healthy Grains needed a reviewer. It was another cold rainy day when my samples arrived, and I was ready to dig in and sample the products. I received 5 flavorful types of their healthy grain bars- Dark Chocolate Chunk, Oats & Honey, Maple Pumpkin Seeds with Sea Salt, Vanilla Blueberry and Peanut Butter Dark Chocolate. Toted as being chewy with a crunch these gluten free 100% whole grains (oats, millet, quinoa, amaranth and buckwheat) have 150 calories and 3 grams of protein. I especially enjoyed the Vanilla Blueberry with the little blueberries in between the grains. It was more than flavoring, but actual blueberries. The Peanut Butter Dark Chocolate and Dark Chocolate Chunk hit the spot during those chocolate craving days. No need to feel guilty about eating this chocolate with the low calories and healthy grain goodness. The Oats & Honey almost reminded me of eating a Rice Krispy Treat with it’s chewy sticky honey. It makes a great healthy substitute. The Maple Pumpkin Seeds was my least favorite. It had an overall good taste, but it was too seedy and crumbly for my taste. All-in-all the KIND Healthy Grain bars were excellent substitutions for cookies. Not only were these bars kinder to my body, but I was happy to learn that KIND Healthy Snacks is really kind company. Each month they give $10,000 to a project that you can submit on their website. From Save a Warrior to Helping families with babies in the NICU, these projects help many people. It’s nice to know that when I sip my green tea and munch on a KIND Healthy Grain bar that I’m helping someone in the process. It’s the little things like grains, a small snack and a smile that makes kindness grow.